You may cancel any meeting you have set up yourself. 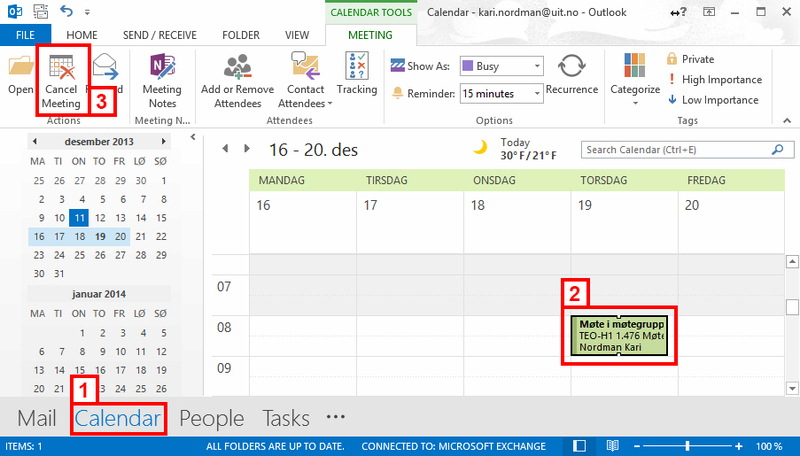 Select the Calendar View in Outlook  and click the meeting you wish to cancel . 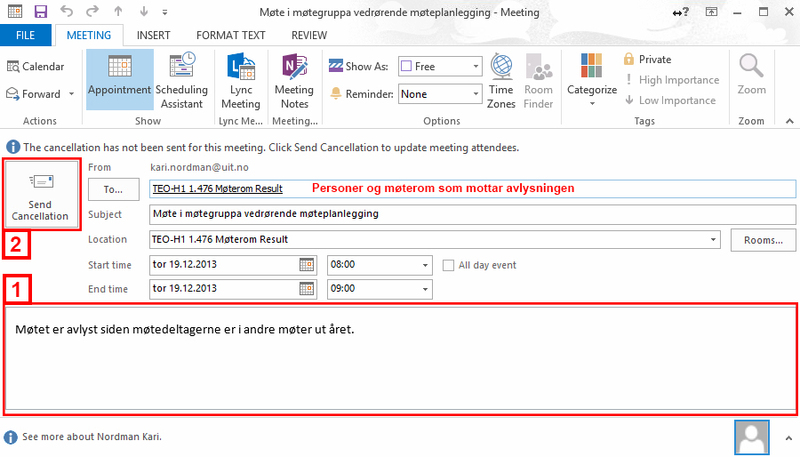 The "New meeting" button will change to "Cancel meeting". Select Cancel meeting. You will now get a window asking whether you wish to notify the attendees of the cancellation. 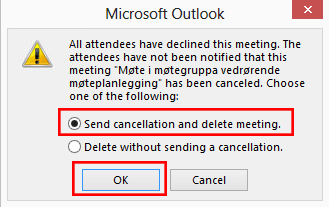 Please do so by selecting "send cancellation and delete meeting". Enter an explanation for the cancellation , then select "Send". The meeting will be removed from your calendar and frees up the room to let others book the relevant time slot. The "To..." field shows the recipients and rooms to receive the cancellation notice.